Restaurants and renovated office spaces lit a fire under the fading coals of Phoenix Midtown real estate. Now the area attracts young professionals, small business owners, and even corporate headquarters looking for appropriate venues to conduct business. Some developers are renovating mid-rise and high-rise buildings to satisfy the needs for creative spaces, carving out a warehouse or boutique feel within a multi-level building. Parking is a luxury most Phoenix Downtown office complexes cannot afford, giving Phoenix Midtown an advantage. Metro Light rail system offers public transportation all over the valley; Osborn/Central Light Rail Station is in the neighborhood. CO+HOOTS is a flexible workspace company that provides a spot for freelancers, entrepreneurs, and small businesses to go about accomplishing their to-do lists. The company is transforming Phoenix Midtown real estate for professionals by providing office space for any size firm. They give back to Phoenix by holding educational classes for students and the community. The MMDNA is an organization that fosters a community spirit for those who live, work and play in the Midtown area. Benefits of this group include Block Watch groups that encourage neighbors to look out for one another to discourage crime, events, and even photo contests. As far as dining options go, Durant’s is a classic, almost time capsule, mainstay. Durant’s is a steakhouse in Phoenix Midtown that has some rather interesting history. With clientele like Joe DiMaggio, Clark Gable, and John Wayne, you know it has to be special for some reason. The 48-ounce Porterhouse is certainly a draw. The youngest diner to polish off the massive portion was an eight-year-old girl with a soccer game the next day. To retain a balanced lifestyle Yogini’s Phoenix and Sutra Studios offer classes and more to all who enter. Another example of community spirit lies in the garden created by a local landscaper. Agave Environmental Contracting started a community garden in an empty lot in Midtown, now called Agave Farms. Pumpkins, winter vegetables, and demonstration gardens will all grow and flourish in this generous project. Central Arts District, which includes Phoenix Art Museum, Arizona Opera, Metro Arts High School, Viad Corporate Center, and The Playhouse on the Park a 200-seat performance art venue. Outdoor sculptures enhance the grounds while exhibits decorate the interior walls. The Heard Museum, a staple of Phoenix Midtown culture since 1929 when Dwight and Maie Heard opened the facility, is an internationally recognized center for Native art. Today the Museum’s free Third Friday attracts locals and visitors from the valley and beyond. The Heard Museum Shop encourages patrons to take a piece of history with them on their return home. The Phoenix Symphony’s Hall is one of Phoenix Midtown’s real estate landmarks. Home also to the Phoenix Ballet and Arizona Opera, the Hall is a cultural icon in the Downtown/Midtown district. Performing arts events occur here all year round, as well as school tours and other performances. Made up of some of Phoenix’s most desirable and lively communities, Central Phoenix is an excellent place to call home, no matter what your age. CenPho, as locals lovingly call it, presents an urban mix of vibrant neighborhoods, quaint historic districts and world-class condominium living right in the heart of Phoenix. While the actual boundaries are not easily defined, CenPho real estate generally includes areas such as Biltmore, Arcadia and many of downtown Phoenix’s historic districts. The communities of Paradise Valley, Dreamy Draw, Gainey Ranch and Sunnyslope are also typically included in this area. Because each of these areas offers a unique and dynamic real estate market, it’s important to look at each area separately, rather than lumping them into one broad-based category. The Biltmore, AZ real estate market generally consists of luxurious and spacious estates and mansions, many of which have commanding views of the Squaw Peak to the north and Camelback Mountain to the east. It is not uncommon to find multi-million dollar homes here with unparalleled amenities such as elaborate outdoor spaces, Infinity pools, tennis courts, movie screening rooms, gyms, guesthouses, and more. Meticulously landscaped master-planned communities are common here, as are stately historic homes like the world-renowned Wrigley Mansion. Real estate in Biltmore, Arizona can range anywhere from the mid $100,000’s for a true fixer-upper to over $10 million for an estate in the Biltmore Resort itself. Positioned at the foot of the Camelback Mountain, the Arcadia, AZ real estate market has a long history dating back to the early 1920’s. 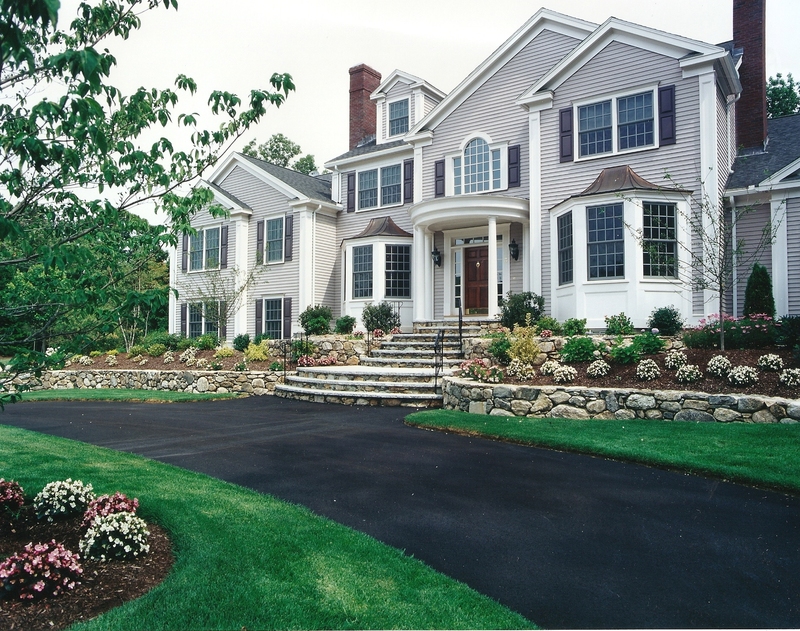 This area is renowned for its larger than average residential lot sizes and for the mature landscaping found throughout. While the trend in Arcadia is to purchase an older ranch home, tear it down and build a new estate home, it is still possible to find great deals in this area. Architectural designs vary from Contemporary to French chateau and everything in between. Real estate in Arcadia, Arizona can range from several hundred thousand for what locals would consider a “tear-down” to over $8 million for a luxury home on a spacious lot. Seemingly as diverse as CenPho real estate as a whole, Downtown Phoenix is home to one of the most diverse selections of real estate available in the area. Here you’ll find everything from modern condominium buildings and recently renovated historic buildings converted to lofts, to stunning estate homes, quaint historic homes and new construction. If you’re looking for variety and a central location, this is it! Some of the historic districts include Brentwood, Campus Vista, Windsor Square, Country Club Park, Fairview Place, Idylwilde Park, Los Olivos, and Del Norte Place. Virtually every price point is represented among Downtown Phoenix real estate. A budget in the $200,000 range can buy you a low-maintenance condominium, while price tags soar to multi-million dollar status for some of the most luxurious properties and estates. Large acre lots, upscale resorts, luxurious estate homes, and quiet streets characterize the real estate in Paradise Valley, a small town in the middle of metro Phoenix. Popular among families and professionals, the real estate in Paradise Valley presents a number of architectural styles, sizes and price points in a myriad of different neighborhoods. In Paradise Valley, $200,000 will buy you a two-bedroom, two-bathroom condominium, however the average price of a home in this community is in the $2.5 million range. It is not uncommon to see homes listed and sold for more than $16 million. One of the most in-demand areas surrounding the Phoenix mountains, the Dreamy Draw real estate market is popular for its wealth of different housing styles and price ranges. More affordable than some of the other CenPho real estate listings, you’ll find a wealth of traditional single-family homes here. Generally speaking, homes in Dreamy Draw range from the low $100,000 for a one or two-bedroom condominium to approximately $1 million for a single-family home with approximately four bedrooms. Realtors, because of legislation called the Fair Housing Act, cannot legally share opinions with their clients on schools, safety and religion (among other items). Why this restriction in place? The government wants to make sure that home purchases are based on a property’s fair market value and not on factors such as race, religion or ethnicity. In other words, the law is in place to stop real estate agents from steering a client toward or away from certain neighborhoods. However, Realtors can direct clients to sources of information about the educational offerings in their area, as well as facts that will help you make your decision. In total, the city of Phoenix has more than 325 public schools in 30 districts along with more than 200 charter and private schools. One of the best sources to learn more about Central Phoenix schools and schools in the Great Phoenix area is on the City of Phoenix School Districts website. Here you’ll find a list of districts, websites and attendance boundary maps to help you better understand the districts and the communities they service. Another excellent source for families is Great Schools, which will provide you with public and private school ratings and reviews. It is imperative that if you are making your home selection based on school zones that you thoroughly do your research to ensure the home you’re interested in is within the boundaries you desire. A real estate professional like Roberta Candelaria and her team can point you in the right direction. Where can you have a picnic outside in December, play golf with friends in January and swim outside in February? Central Phoenix, of course! Central Phoenix weather can be described with one word: Sunny. In fact, this sunny weather is the No. 1 reason that visitors and new residents cite for drawing them to the area. According to data compiled by the National Climactic Data Center, the Greater Phoenix Metropolitan area basks in sunshine during 85 percent of the day, which is more than any other major metropolitan area in the country. That’s not too shabby! When you pair year-round clear skies, endless sunshine and mild temperatures along with Central Phoenix’s abundance of recreation and attractions, it is no wonder why the community has become one of America’s premier vacation destinations. Today, Arizona homebuyers are capitalizing on these offerings and are making Central Phoenix homes for sale their primary and vacation residences. Located at an elevation of approximately 1,117 feet, the weather in Central Phoenix is usually warm and dry, with a yearly average temperature of just 72 degrees Fahrenheit. The yearly average high is 85 degrees. Of course, it can get hot during the summer months, but the low humidity makes the summer heat more comfortable and bearable. The Sonoran Desert’s super-low humidity means that even temperatures in the 90s feel quite nice, and the arid climate keeps you cooler and drier. Phoenix homes are also accommodating to this climate and many offer swimming pools and beautiful outdoor spaces to enjoy the outdoors. Summer months also mean access to area water parks, boating on local lakes, floating on the Salt River and, of course, water skiing to keep you cool. It is important to mention that when you see Phoenix area weather temperatures published, the official temperature is monitored at Phoenix Sky Harbor International Airport in downtown Phoenix. Because of this, suburbs of Phoenix like Chandler, Gilbert, Maricopa and Ahwatukee may have slightly cooler temperatures on average, with differences being as much as five degrees from the Phoenix reading. The graphic below will give you a better idea of the average temperatures you can expect of Central Phoenix weather. As you can see, even winter temperatures in Phoenix are mild. In fact, on average, Phoenix has only one day per year where the temperature drops to or below freezing. While some of the outlying areas of Phoenix can see frost, within the heart of the city frost is rare. Snow is also a very rare occurrence for the city of Phoenix. Snowfall was first officially recorded in 1898, and since then, accumulations of 0.1 inches or greater have occurred only eight times. The heaviest snowfall ever, recorded in January of 1937, only produced 1 to 4 inches in parts of the city. With mild temperatures, sunny skies and world-class natural landscape, it is easy to understand why so many potential homebuyers want to purchase real estate with amazing Central Phoenix weather. When you’re ready to explore your options, the Phoenix Urban Spaces real estate team stands ready to assist you. Specialists in Central Phoenix and the surrounding areas, Roberta Candelaria and her team have the knowledge, skills and resources needed to help you find the home that will best allow you to enjoy the climate and all that Central Phoenix has to offer. For more information on the Central Phoenix area and the communities located throughout this vibrant area, please do not hesitate to contact Roberta and her team at Phoenix Urban Spaces today. They look forward to hearing from you and welcome the opportunity to introduce you to some of the finest real estate in the region. Connect today to get started! Because of the CenPho real estate market’s diversity, it is imperative to seek the guidance of a local real estate professional that understands the unique trends of each community. Broker Roberta Candelaria and her team at Phoenix Urban Spaces, specialize in Central Phoenix and the surrounding areas, and look forward to assisting you in learning more about CenPho and the many benefits to homeownership here. Connect with them today to get started and to learn more about the myriad of opportunities awaiting you.